We first discovered tri-string bubble wands when my brother bought the kids a posh set for Christmas. We had such fun with these that I thought they’d be great to take on our upcoming camping trip. But sharing two wands between the dozen kids on the trip? That sounded like the recipe for a ‘Battle Royale’-type showdown… Everyone would want a go! Luckily, tri-string wands are so simple that it’s a cinch to whip up your own – and home-made work every bit as well as our ‘posh’ shop-bought ones. It’s so easy that it makes the perfect summer holiday kid-craft. And this is how you do it! 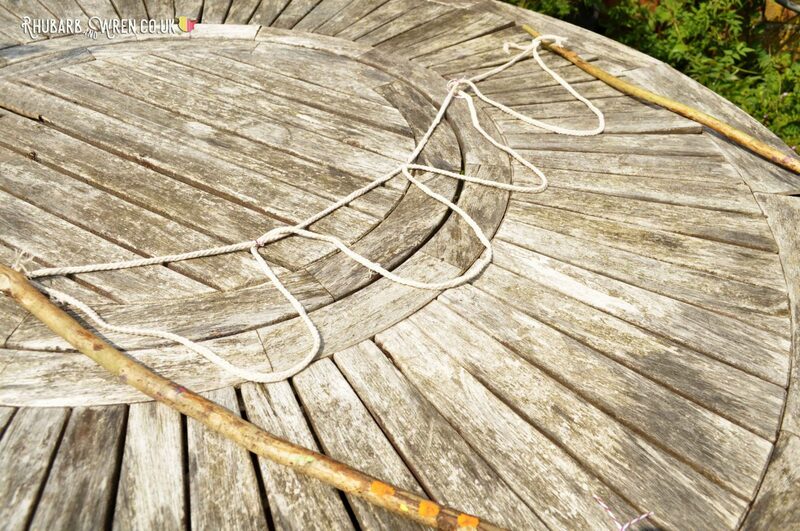 A tri-string giant bubble wand is just a triangle of string or cord dangled between two stick-handles. You dip the string into your bubble mixture, and lift out with the sticks held together. Spread them out and either the wind or just a gentle wave of the sticks will create absolutely HUGE bubbles! I mean really, really, big. Ginormous. Can you feel the kids getting excited already? I bet they won’t be the only ones! Make a bubble bigger than me? Yes please! 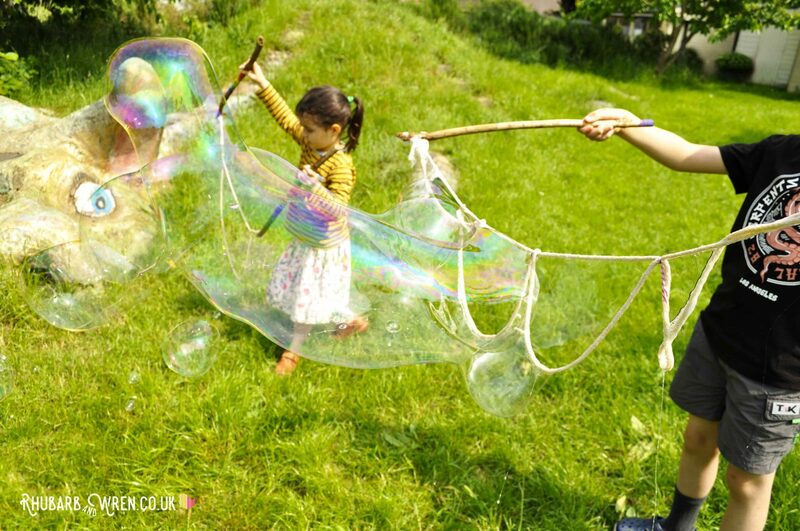 Kids of any age can make these bubbles, just use slightly shorter sticks and string for very little ones. We found these much easier to use than the two-straw home-made bubble wands you may have seen around. Unlike those ones, only the string of ours gets dipped into the mix. 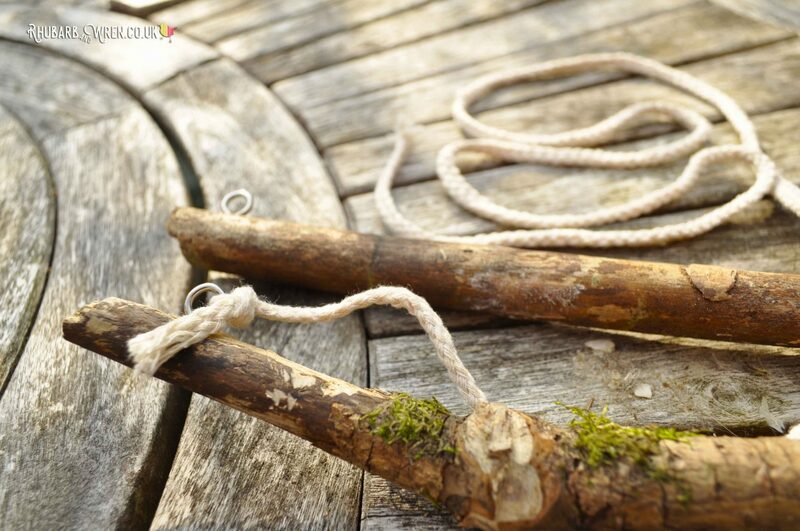 These wands would also make great presents, or a fabulous summer party activity. All you need to make a giant bubble wand. Anything from 45 – 60 centimetres long is great, or you could say roughly the length of an arm. This is an easy way to measure if you’re out and about gathering them from the woods or park, and means that kids get custom size that’s easy for them to handle. 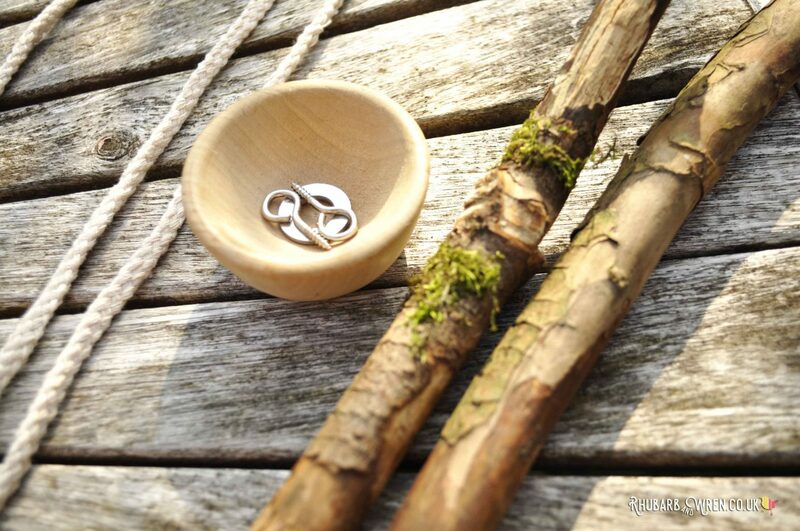 If you want to be fancy or are in a tree-free zone, you could use dowel rods instead. 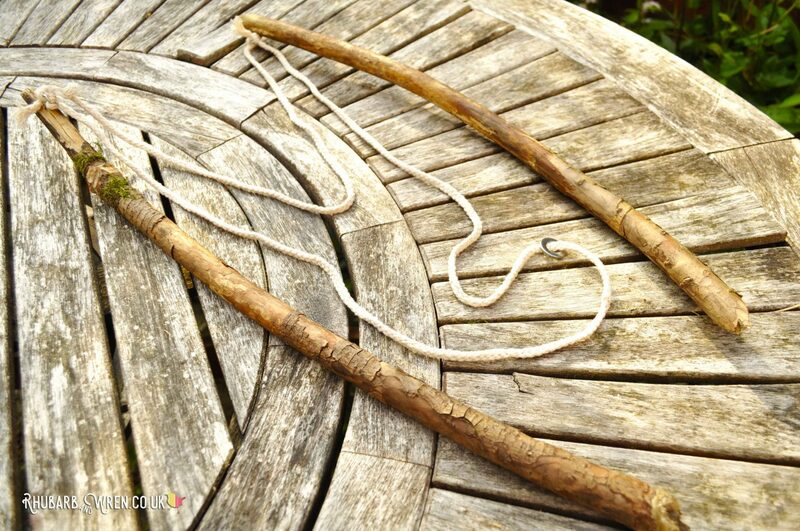 These also look pretty slick and professional if you’re making the bubble wand as a gift, though personally I prefer the natural look of a nice, weathered, stick. Whatever you use, you’ll need two of them for each giant bubble wand, and they should be roughly the same length. They also need to be fairly thick as you’ll be putting screws into them – mine were roughly a centimetre/half an inch thick. 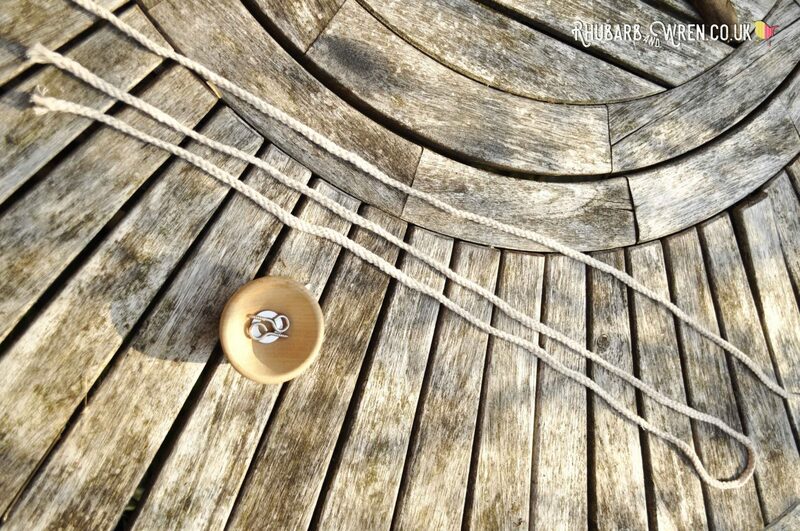 I used braided cotton cord that was 5mm in diameter. You could use any wool/yarn, string or cord, but if it’s thicker, it will be less likely to get irrevocably tangled. Because I can tell you that untangling wet, soapy wool is not so much fun as you might think. One long length, and one shorter length of cord that’s about half the length. 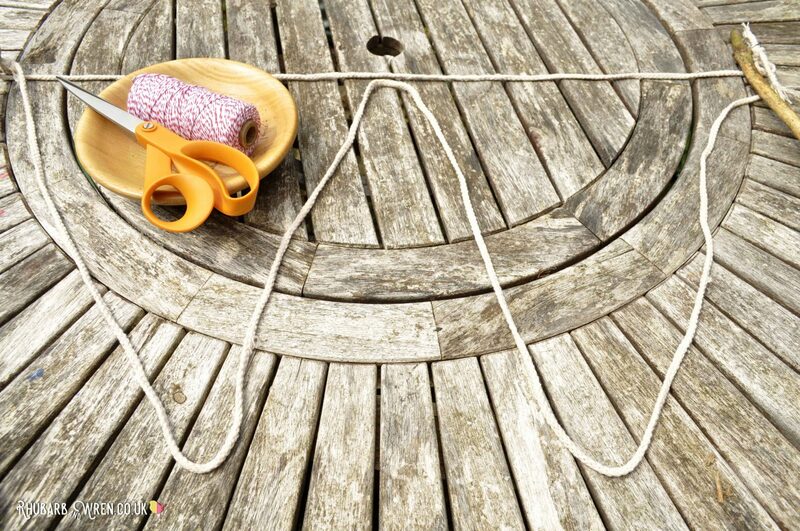 As you can make this any size, the length of rope/cord required is up to you. Just remember you’ll need one long piece, and a shorter piece roughly half the length. Ours were 150cm and 75cm long. A large metal washer to act as a weight (one for each giant bubble wand). Gather these simple supplies for giant bubble greatness! An optional extra for if you want to decorate your tri-string giant bubble wand. We used bog-standard kiddie poster paint and these cute little aluminium paint palettes. 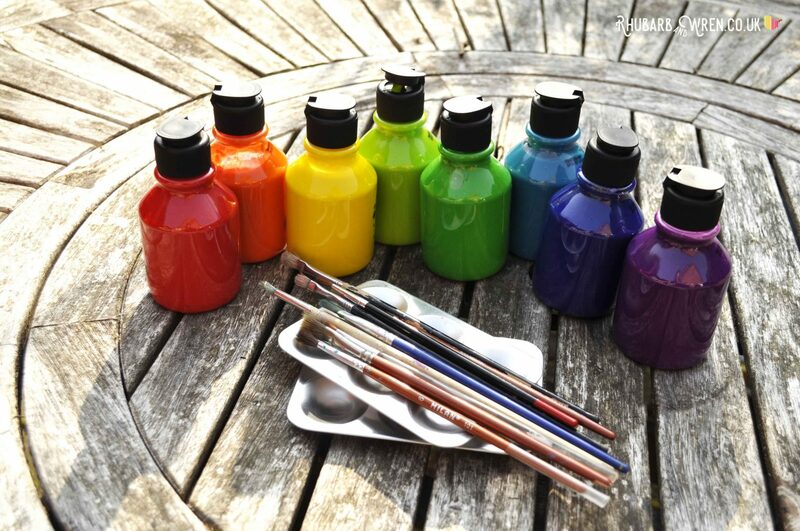 You don’t need paint, but it never hurts to add a bit of rainbow colour! 1. 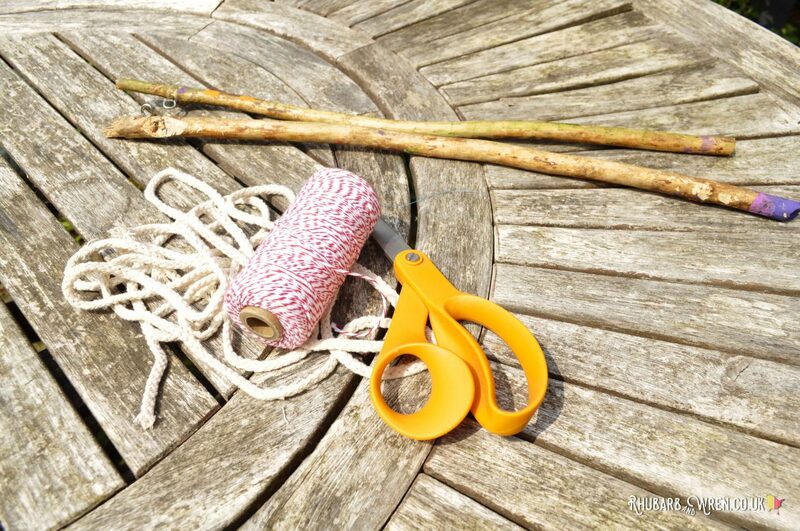 If you are using sticks rather than dowelling, then start by cutting off any jagged or pointy bits from your sticks. I used a small saw to do this. Remove any flaky bark while you’re at it, as you don’t want that falling off later in your bubble mixture. I know, I know… I should have removed the moss. But it looks so cool, I couldn’t bring myself to peel it off! 2. Insert an eyelet screw near the top of each stick. These are normally self tapping (meaning they will create their own hole when you twist them against the wood) so you shouldn’t need to drill first. Make sure the sticks you use are thick and strong enough to hold the eyelet screws securely. 4. Tie your long piece of cord to one eyelet. Leave a tail on the knot of a few centimetres/an inch, so that you can make another knot with that shortly. 5. Thread your washer onto the long cord, and then tie the other end to the eyelet in the remaining stick. This will connect both sticks together. The washer acts as a weight on the long cord, pulling it down to make the classic ‘tri-string’ shape. 6. Take your short piece of cord and tie it onto the longer cord (NOT the eyelet this time). This knot should sit just beneath where that long cord is knotted onto an eyelet. Do the same with the other end of the short cord, again tying it just below where the long cord is tied onto the other eyelet screwed into the second stick. Leave a tail on these knots too. Once you’ve tied your short string to your long one, knotting the ends together will stop it sliding down. 7. You will now have two ‘tails’ of cord at each eyelet. 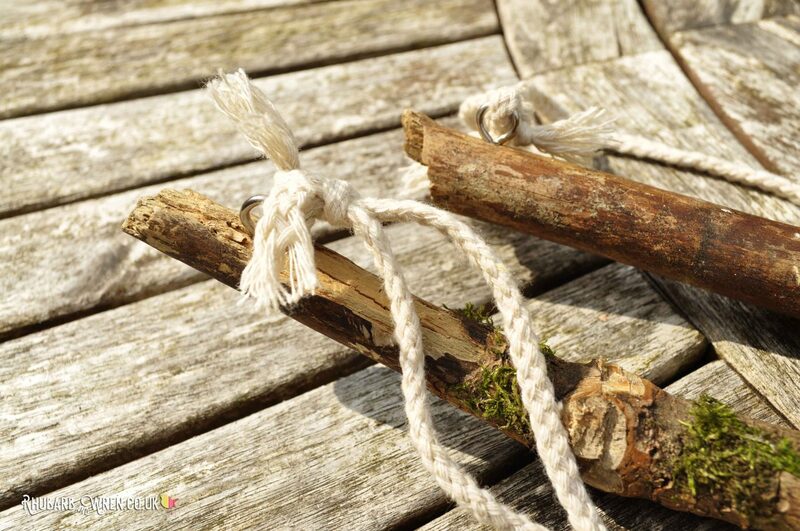 On each stick, tie the two tails together to make another knot right next to the first one. This ‘tail knot’ will keep your your short cord in place, and stop it sliding down the long cord later on. When you hold the two sticks, the long cord with the washer-weight should hang down, while the shorter piece therefore stretches across the middle. Both strings together forming a triangle shape. All ready for giant bubble making! And that’s it! You’ve made a tri-string giant bubble wand. Unless you want to decorate your sticks like we did, with a bit of paint, then you are ready to start making some giant bubbles… and for that you will need bubble mixture. 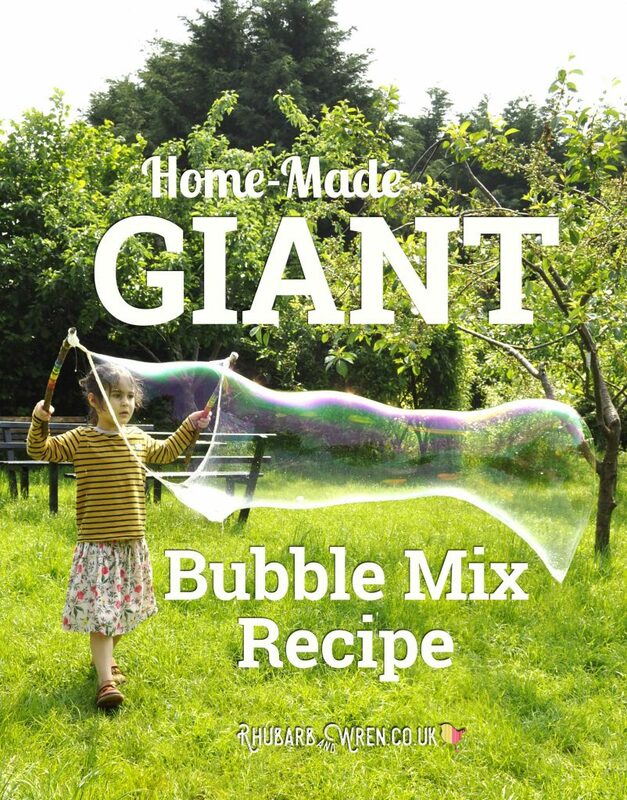 Head on over to our Giant Bubble Mix Recipe page, where we’ve got two recipes for home-made bubble solution. One that’s ridiculously simple, with only two ingredients that I guarantee you already have. The other one is the best bubble mix I’ve ever made – it beats store-bought mixture hands down and makes awesomely huge and strong bubbles. These bubble wands look great painted, but you might want to wait until the kids have had a go first! One giant bubble not enough for you? Make a garland wand and you can have a whole cloud of them at once! 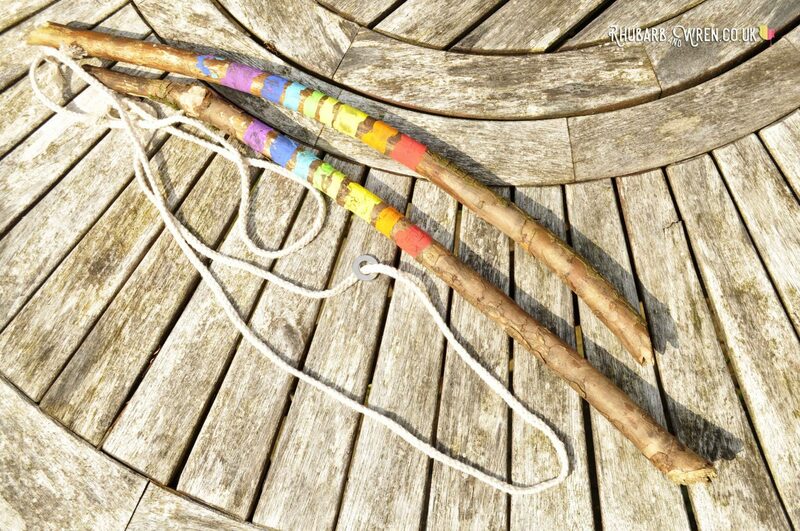 Two sticks or dowel rods, around 45 – 60 centimetres long / a centimetre in diameter, as before. 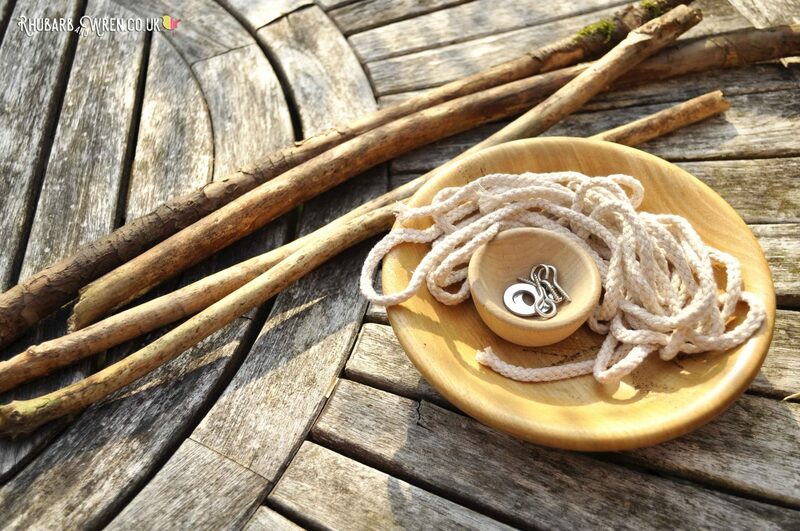 The same braided cotton cord, string or wool. Use about three metres in total (one metre short piece and a two metre long piece). With this length you’ll get either four medium size loops or eight little ones. Any longer, and the garland becomes hard for the kids to handle by themselves. As before, you’ll need two eyelet screws – one for each stick. Kitchen string, baker’s twine or ordinary, strong sewing thread… anything like that is fine. 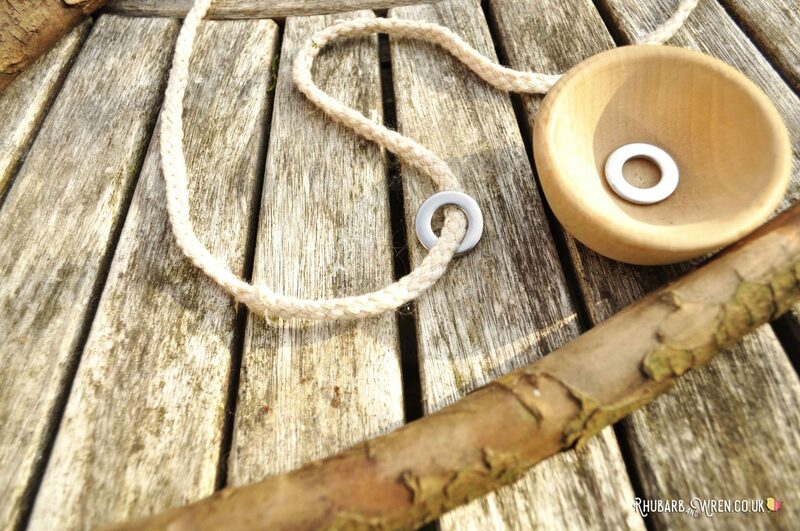 All you need for an amazing garland bubble wand – sticks and string! 1. 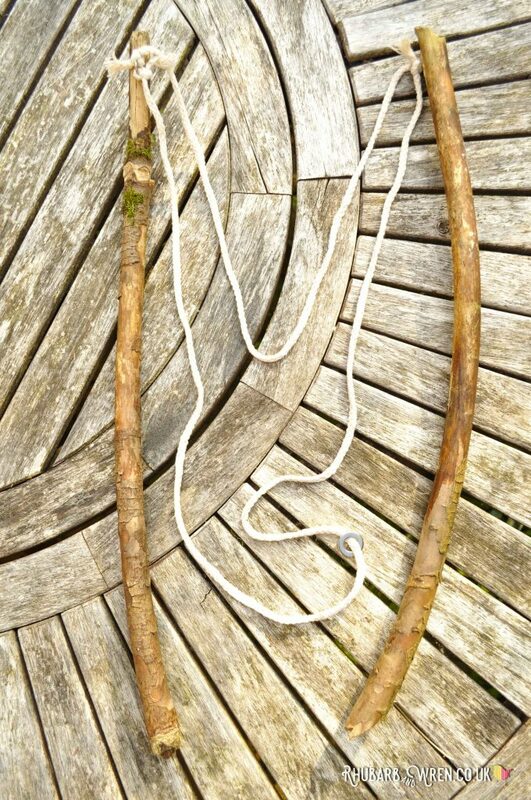 To make a garland wand, add eyelets to two sticks, as per the instructions for the tri-string giant bubble wand. 2. Attach your long and short cords to the eyelets in exactly the same way, but this time WITHOUT the washer – you won’t need it for a garland wand because the loops are much smaller. 3. Spread out your wand so that you have the whole inverted triangle of cord laid out before you. Find the centre of the long piece (the bottom of the triangle) and bring it up to the short cord, so that you now have two small loops instead of one big one. Bringing the point of the triangle to the top line creates two smaller loops. 4. Use a piece of your thinner string or thread to tie the centre point in place. 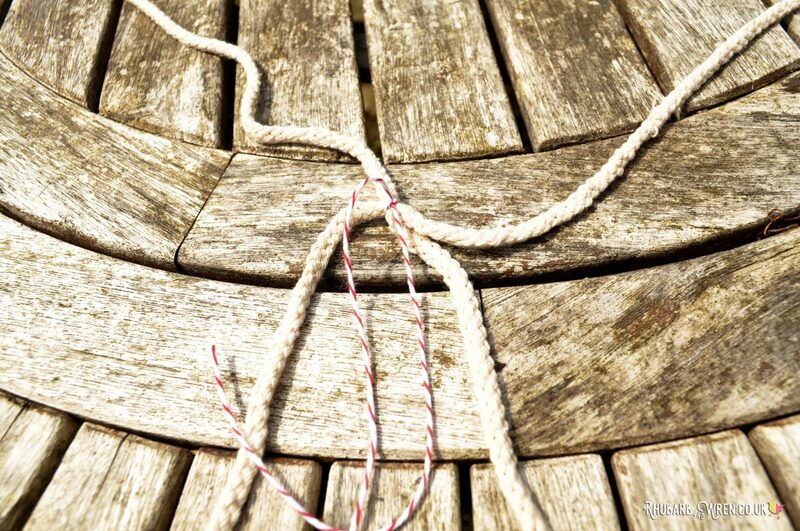 Any type of string will do to make a tight knot on your cord – trim down the ends afterwards though. 5. Repeat this process with the two new loops, turning them into a total of four loops. You can stop there, or repeat again to make eight small loops, which is about the maximum you’ll fit on this length of cord. This garland wand will make four football sized bubbles at the same time! For this wand, the loops don’t need to be the same size, so you can experiment with a combination of big and small loops if you like. And that’s it! Your garland wand is ready to go… bubbles here we come! This bubble wand is a really fun one to do as a co-operative task – two kids working together can dip a really long garland and spread it out between them to create loads and loads of bubbles. It’s not as easy as it sounds so takes a little practice to get right! I have found, however, that eventually the kids gravitate back to the tri-string wand. Everyone LOVES making the looooooonng tubular bubbles that you can produce with the tri-string, and it’s also a little easier to handle than the garland wand. So we usually now make one of these garland wands as an extra to play around with, but make sure that kids all have a tri-string wand each! Our all-time favourite – the tri-string wand! 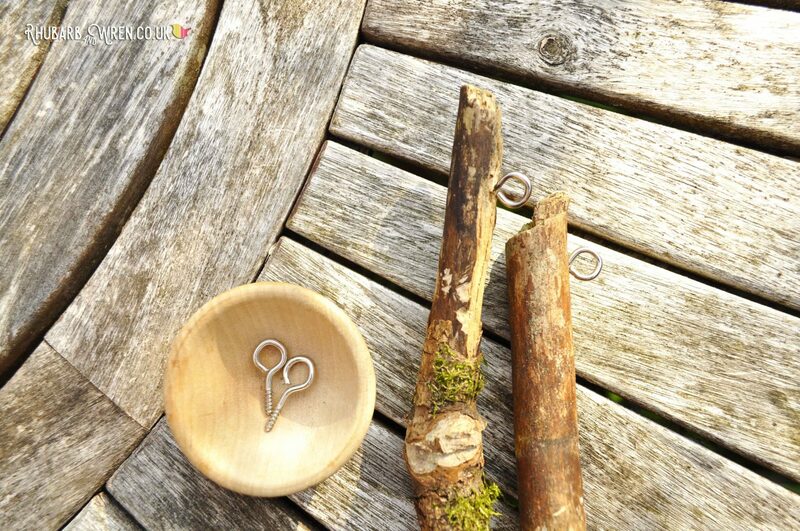 I love activities for the kids that use natural, found things, and so we’ve done a fair amount of stick painting and forest school-style crafting before. 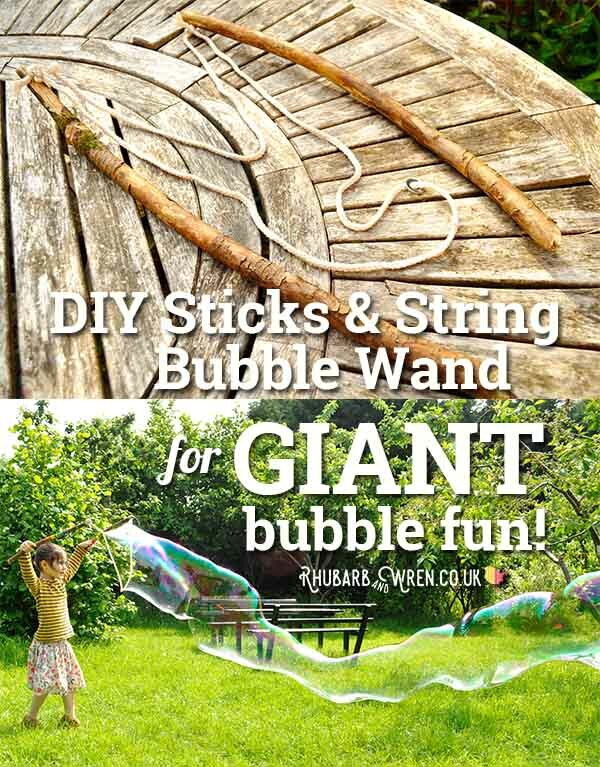 But these bubble wands have to be the best make yet – SO easy and quick to do, and yet leading to hours of fabulous, bubbly, outdoors fun. Kid nirvana! 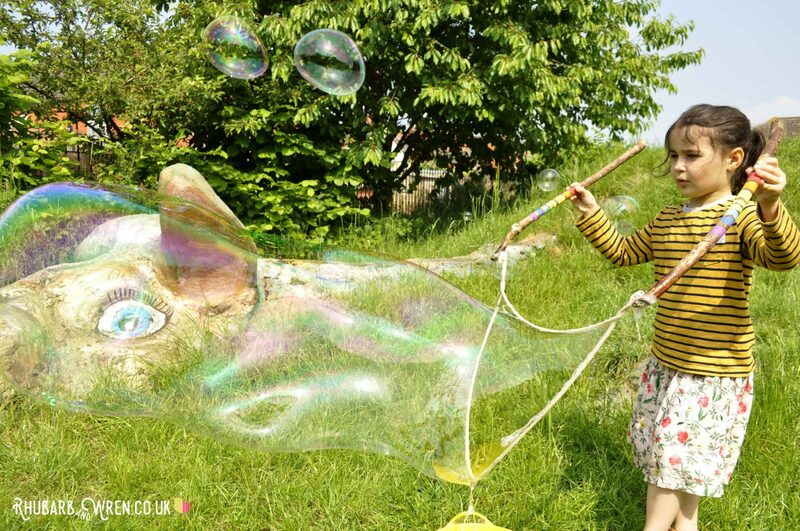 Looking for more bubbly fun things to do with your kids? Get our unbeatable recipe for giant bubble mix, and take a look at this baby bubble play activity for really little ones. 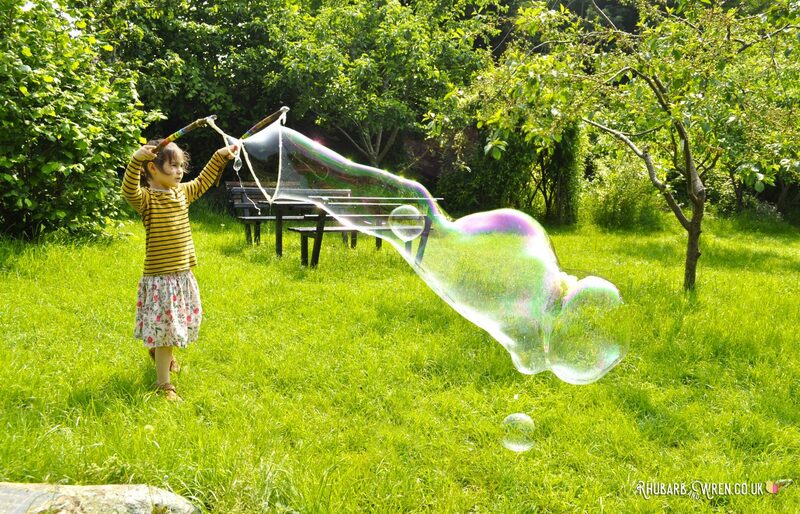 This never-fail bubble solution recipe makes giant bubbles every time! 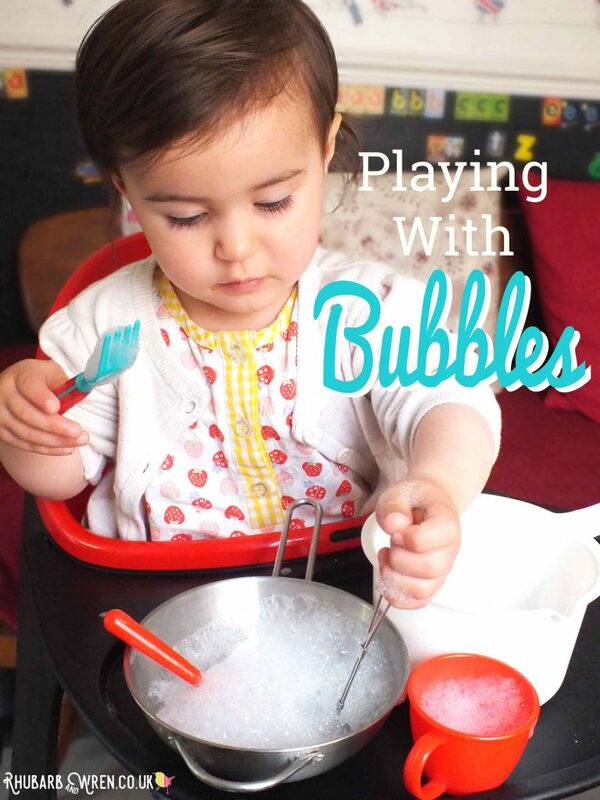 Kids can have great fun playing with bubbles from a very early age. No better home-made fun than making giant bubbles! Sticks + String (plus a little bubble mix) = GIANT bubble fun! GIANT bubbles made with our home-made bubble wand! Craft, DIY Festival, Kid-Made, Nature, Parenting Without Plastic, STEAM, Things to Do With Sticks, Where the Wild Kids Are. Bookmark. Oh my this is going straight on my to make list! 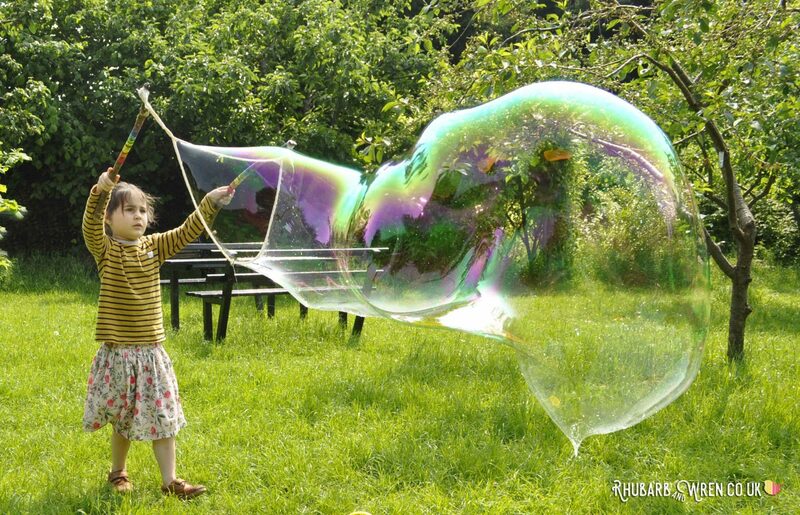 My kids love making bubbles but we’ve only got the small type – how awesome as those bubbles. I think I’ll make one for me too! Great idea – I’m off to read about the bubble mix now! Definitely make one for you – I’m just as addicted to these as the kids! God I used to be OBSESSED with these giant bubbles as a kid. Good to see they are just as popular as ever! Thanks for sharing this! Forget the kids I’m going to make these for our Mad Hatters Party later this month! I must confess, I love them too! Absolutely not just for the kids! Yay – they’ll love it, I promise! Oh my goodness! Those bubbles are huge! My kids would have LOVED these when they were little. Your instructions are so easy to read and understand – I am sure many kids are going to have a whale of a time making them! 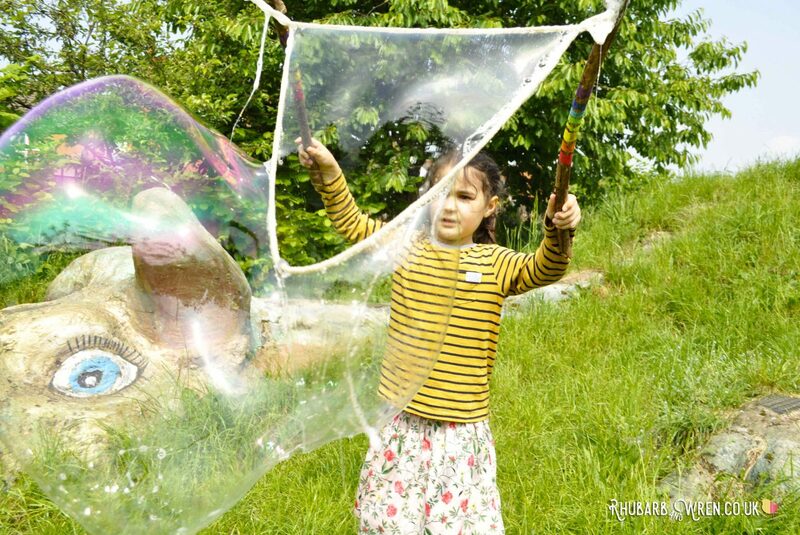 Love your article on how to make a giant bubble, my little cousin would love it. Upcoming weekend we have to try it. Thank you for sharing. Go for it – would love to know how you guys get on! Oh my goodness, my kids would LOVE to make one of these! I have to show them this tutorial when they get home from school today!